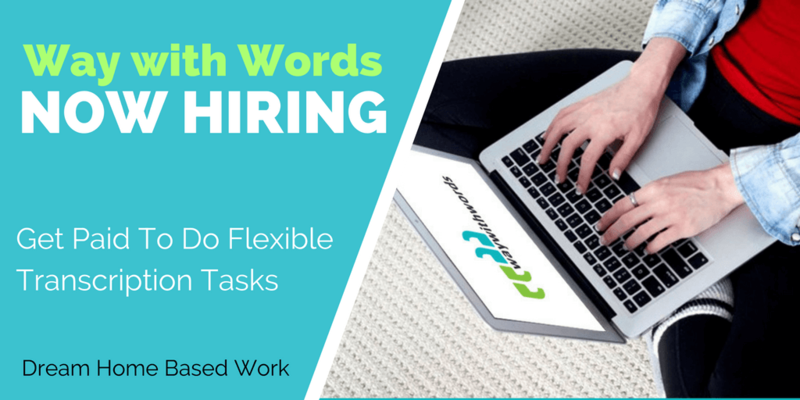 Looking for something with flexible working hours or additional income and a great way to sharpen your transcription skills? Way with Words is a great place to start. 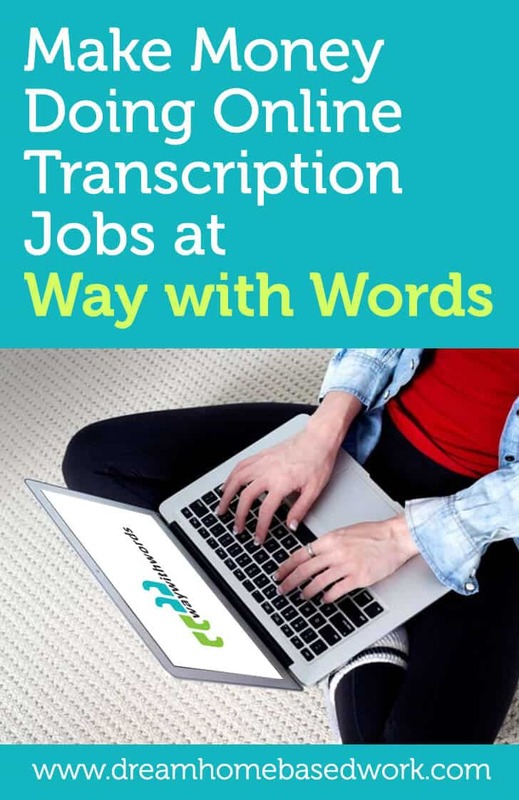 While there are many companies offering transcription that you work on from home, Way with Words provides incredible opportunities for prospective and experienced transcriptionists around the world. While this is a very good chance to earn that extra buck, it is unfortunately not for everyone out there. One of the most important things with transcription work is mastery of the English language. Do you consider yourself a master of the English language? Then this could be the thing for you. But not that fast. You need other skills as well if you are to make a great transcriber at Way with Words or any other company. Transcription gigs entail listening to audio and video files, then typing out what you hear. All this is done from your computer. A touch of perfectionism is key to making a competent transcriber. There are many software applications you can use to correct grammar on your document after typing. Nonetheless, when it comes to listening, you need to be patient enough to get everything to the detail. This then implies that patience is another critical attribute of a good transcriber. More often than not, one has to repeat sections of the audio file many times over to make sense what the speaker was trying to put across. Yet again, carrying a professional attitude when doing transcription or any other online jobs is very important. Most freelancers forget that this is just a job like any other, simply because they are working from home. A good rule of thumb is to perceive those you are typing for as clients. It goes without saying that English proficiency is a requirement for taking on transcription gigs. You however, do not need to have an undergraduate degree in English language to be successful in this field. Of all the three skills, this is the least important, at least when you're just getting started. This is because there are hosts of online typing platforms dedicated to helping people improve their speed. When considering joining transcription as one of your side gigs or only source of income, it would be wise to consider your words per minute score as it will determine how much you will earn. Way with Words pays per audio hour/minute. The average typing speed is around 40 wpm. How good are you with Google? One of the things that make transcription stand out from other online jobs like data entry is that you will always learn something new each time you take a project. More often than not, you will be required to search for the names of different business executives and CEOs. Apart from that, you will also be expected to look up any words specific to the industry of the file you are listening to. The pay for this position is $33-$57 per audio, which averages to be around $8.50 per hour. An applicant will be graded on each category: General language, research, and audio. One is only allowed to continue according to their performance. In the event you fail in any one of those sub-categories, your application will be deemed unsuccessful and you will not be able to attempt the remainder of the test. It takes about an hour to complete the first stage of the assessment. Once you have successfully completed the first stage of the assessment, you will get a link to the online assessment. This does not require to be done from the website. One can do this at their own pace. An applicant will be graded on each of those categories. One is only allowed to continue according to their performance. In the event you fail in any one of those sub-categories, your application will be deemed unsuccessful and you will not be able to attempt the remainder of the test. It takes about an hour to complete the first stage of the assessment. Is This A Recommended Work From Home Option? Just because a few companies require you to do on-site transcription does not mean that all of them do. Most of the companies, Way with Words included allow you to work from home. Also, transcription work is very flexible and a recommended option that doesn't require a landline phone. This is a highly profitable venture for retirees, parents and those seeking to supplement traditional income. Not to forget that holidays and vacations will be yours for the taking when you work from home. Do you know of any legitimate data entry jobs? I currently work from home doing transcription, but I would rather do data entry. I am getting tired of transcription all the time. If I had some part-time data entry or even full-time if it will be enough to pay my bills every month I would do that. Transcription just is not paying much and it is so sporadic with work and I work for several. hey there, so how can I land my first job? Hi Moesha! I can definitely point you in the right direction. Are you looking for a specific type of job?